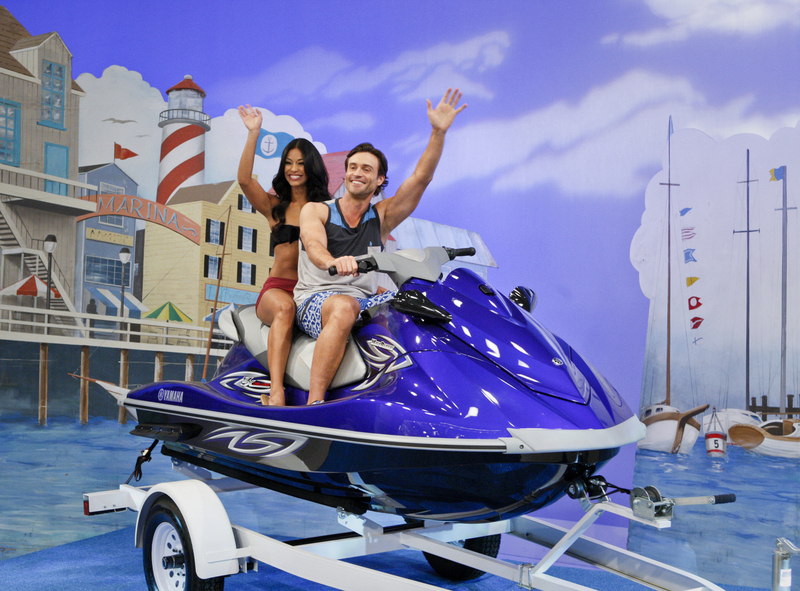 THE YOUNG AND THE RESTLESS actor Daniel Goddard with model Manuela Arbelaez on a special episode celebrating the daytime drama’s 10,000th episode. THE PRICE IS RIGHT airs weekdays (11:00 – 12:00 Noon, ET; 10:00 – 11:00 AM, PT) on the CBS Television Network. Photo: Lisette M. Azar/CBS ©2012 CBS Broadcasting, Inc. All Rights Reserved.